I have seen a lot of posts online lately about parents stressing over food and issues surrounding Halloween. In 2014, there is no reason to have to do this. Yes, food and diabetes take a bit more work. Yes, special occasions and diabetes can take a bit more planning but our children with diabetes can still eat, enjoy and partake like all other children. Here are four ideas to help get you through Halloween this year. 1. The Halloween Witch. Some families have an issue with the amount of candy being given out at Halloween period. Diabetes or not, they just don’t want all of that junk around for their family to indulge in. 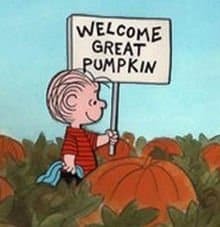 This has led to the creation of things like the Halloween Witch or the Great Pumpkin, who come at night and take all of the children’s candy leaving behind toys, games or cash in exchange for the treats. 2. Save Treats for lows. Halloween offers a great time to stock up on things like Rockets and juice packs that are great for treating lows. While you are looking through your child’s loot bag, take out items that are not high fat but offer 10-15g of fast acting carbohydrates. Put them in safe place and use them as an alternative to juice or glucose tabs when your child is low. 3. Share with others. Re-gift those Halloween treats and take them to shelters or the children’s ward at your local hospital. Repacking the treats and sharing with others can be a great lesson for children whether they have diabetes or not. 4. Count the carbs and enjoy the treats! 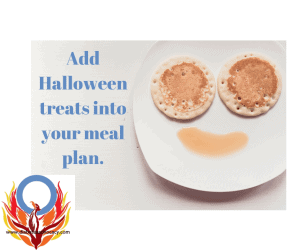 Halloween treats can also be factored into your child’s current meal plan. If you are using a restrictive regimen that counts things like fruits and starches, most chocolate bars and small treats are 9-10g of CHO and a perfect substitute for a fruit at a meal or snack. Bags of chips are often 15g of CHO and again perfectly replace a slice of bread. 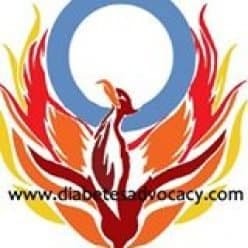 There are extensive lists of carb counts found all over the internet including one at Diabetes Advocacy as well as a selection at Children with Diabetes, and ConnecT1D. If you child is doing a lot of walking when gathering their treats, allowing them to snack on one or two things as they go can also help to maintain bg levels while enjoying the fun and excitement of the day! Remember to breathe. Try to relax…well maybe on November 1st. And no matter how you chose to handle the holidays, please do not let diabetes ruin your child’s fun…or yours.